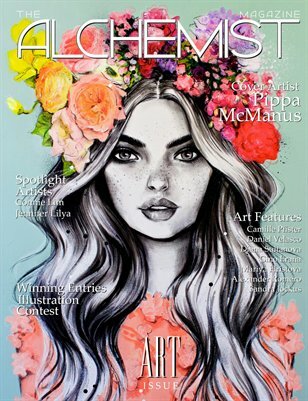 The ART Issue features cover artist Pippa McManus, plus spotlights on artists Connie Lim and Jennifer Lilya. Featured Artists: Camille Pfister, Daniel Velasco, Diana Sultanova, Gino Eraña, Mariya Hristova, Alexander Romero, and Sandra Jockus. Plus the winners of the Fashion Illustration Contest.